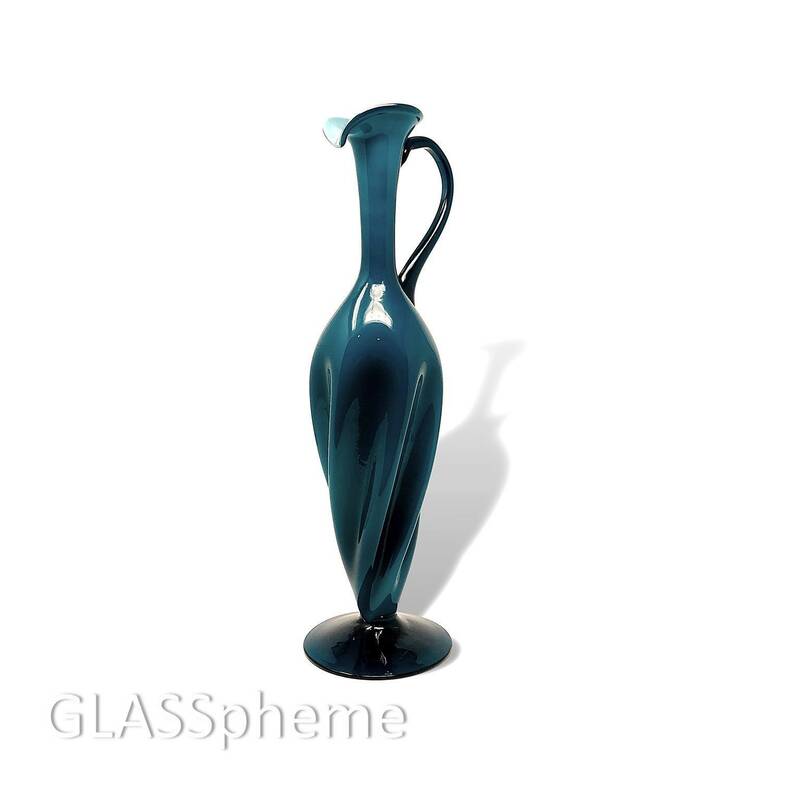 This SUPER TALL & SPECTACULAR mid-century Empoli-made Italian cased glass pitcher is far more of a sculpture than it is an actual pitcher or decanter to be used for serving liquids. 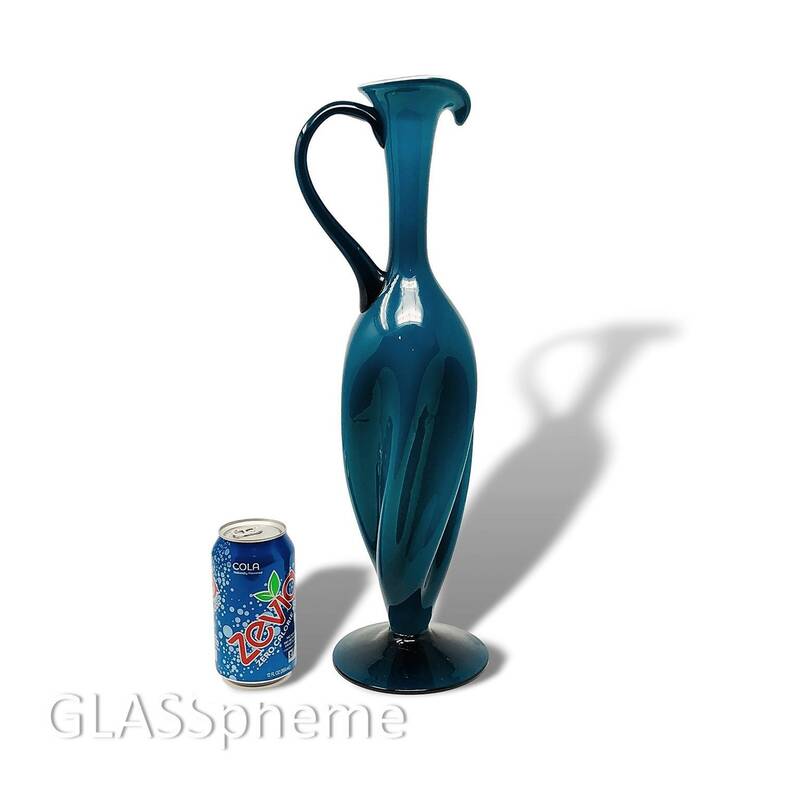 At 18" tall and in pretty pristine condition for its age (which, given the three-layer quality and heft of the cased glass, must date to the 1950s), this handblown beauty is much more remniscent of a Dante Marioni piece of art than anything once marketed in a Sears Robuck catalogue. The form, the grace, the rippling folds. 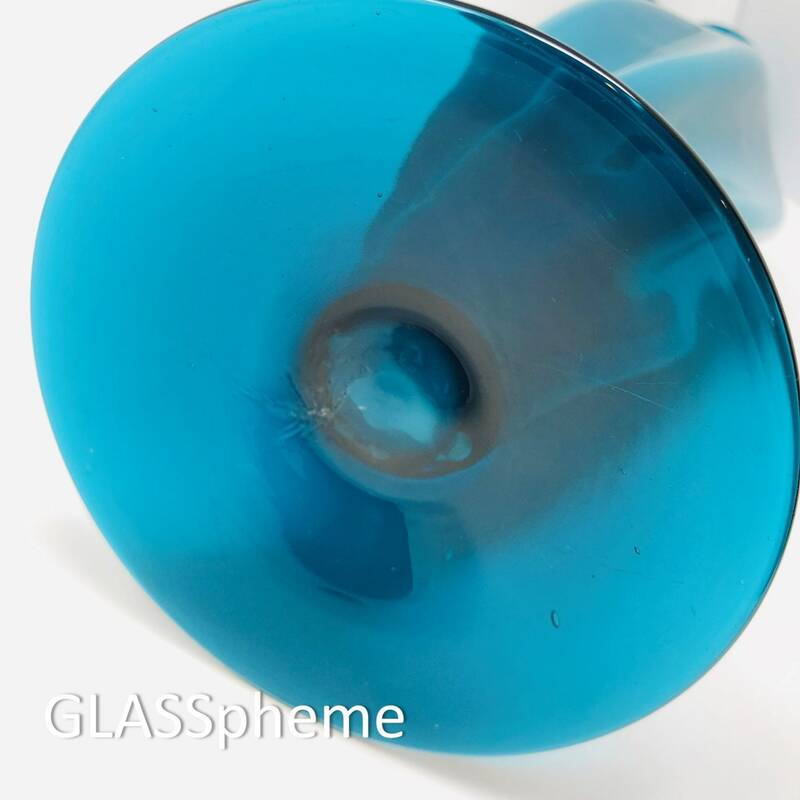 Empoli glass at its very best! ps. 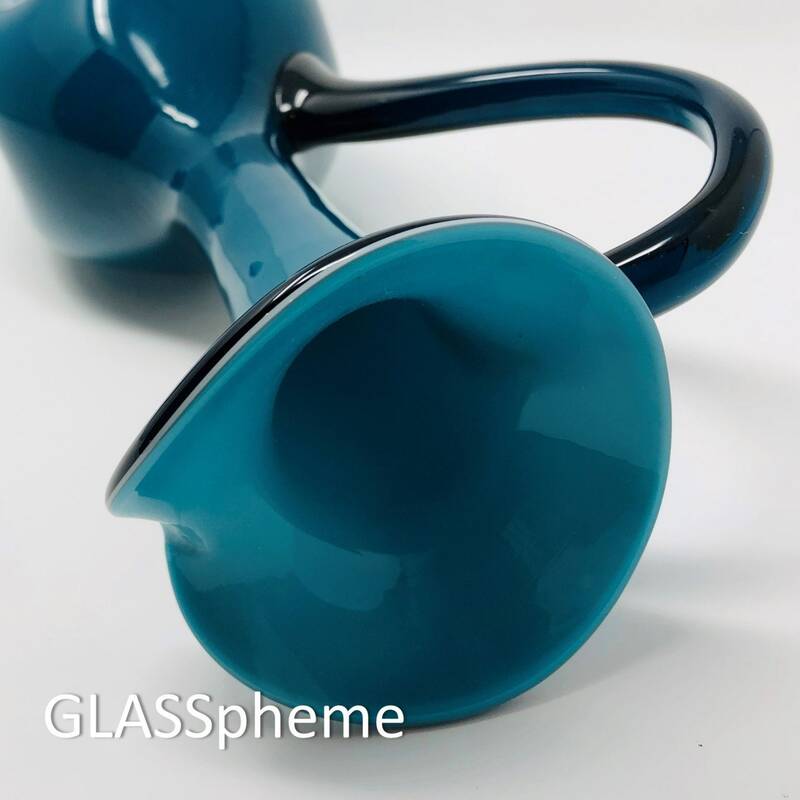 This gorgeous blue comes off as a teal or a deeper indigo depending on your lighting!